If You Haven’t Voted Yet, I Need Your Help! My book cover for Time To Lie has been nominated for Cover of The Month on the website AllAuthor.com. There is weekly voting. My book has made it into the top ten in voting so far, but I’m still about 200 votes behind the leader and need to qualify for the next round. If you haven’t voted yet, I’d love your support. It’s the quickest, easiest online voting thing I’ve ever seen. You don’t have to sign up for the website or login to Facebook, or give away your e-mail address. None of that. Just click THIS LINK and below the picture of my cover just click the orange VOTE bar. What’s in it for you? 1) You can download three free sample chapters to see if you’d really like my book before buying. 2) You discover a new website with thousands of books you’ve never heard of that just might be your next favorite read. 3) My eternal gratitude and more of my idiotic comments on your blog posts. 4) If you want to go quid pro quo, I’d be happy to have you as a guest blogger, promote your book or re-blog a particular post that you want more exposure for. What’s in it for me? If I win I get a membership to the website. If I finish 2nd or 3rd, my book will be featured on the website for a month. If you’re feeling like you’ve got 10 seconds to spare today, just CLICK THIS LINK and vote. Thank you so much! This is where I was for four days last week and I came home to cold and light snow. Be A Phil-anthropist: Help Me Win Something! Time to Lie (or even if you didn’t), please vote for it for the Cover of the Month contest on AllAuthor.com! Just click the little link at the bottom right of this cover picture. Thanks! I Need Your Votes For AllAuthors Cover Contest! 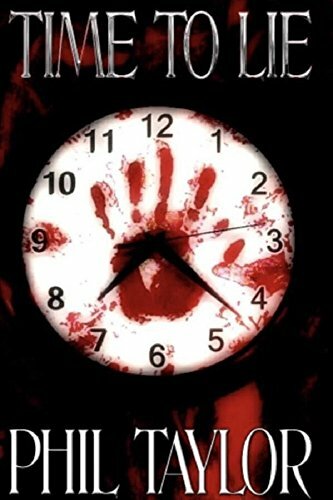 If you liked the cover of my book, Time to Lie (Landon Bridges’ Story Book 1), please vote for it for the Cover of the Month contest on AllAuthor.com! Click the link below the cover pic! If you’re feeling really supportive, I wouldn’t mind you re-blogging or share this on social media! A Review for Time To Lie: Did I Create “Dude Lit”? The Master of “Dude-Lit” Tackles Time Travel and Wins! “Dude-Lit”? That’s funny. We’ve all heard of “Chick Lit” from authors like Janet Evanovich and Nicholas Sparks. Apparently my books have created the new genre of #DudeLit. I may not be on the Amazon bestseller list yet, but if I’ve created a whole genre of literature, I’m pretty happy with that accomplishment. Actually, I’d like to thank friend, actor, and author Gregory G. Allen for coining the phrase Dude- Lit and applying it to my books in his review. Gregory G. Allen is an award-winning author of three novels, one non-fiction memoir, and two children’s books on autism awareness – the first of which won the People’s Choice Grand Prize Award in the 2012 MeeGenius! Author Challenge. He’s also a blogger. You can read his blog here. He has been in the entertainment business for over twenty five years as an actor, director, producer, songwriter, playwright, screenwriter, and author. His short film MOTHER won several awards on the festival circuit in 2015. Greg is a really great writer and an even better human. Go check out his books on Amazon. Do You Like Audible Books? If you like Audible books that you can listen to while you drive or are working out at the gym, I’ve got great news for you! In about two weeks my book Time To Lie will be available on Audible. And … drum roll please! Here is the new cover especially for Audible!